For your staff who spend most of their time in the field, speed can be a key piece to ensuring they support all of the various team members they manage. Yet, the traditional methods of conducting field assessments often prove counter-productive because of the handicaps, both in the tedious method of conducting an assessment using manual entry of data on excel sheets, and in updating and coordinating the data with the management. Completing an assessment becomes a time-consuming process and a struggle for the District Managers (DM’s) in monitoring operations at individual stores of chains and can defeat the purpose of the audit itself. However, DM’s now have the option of a digital auditing software to complete their assessments much faster and with greater impact. With Field Audit Software, assessments can be completed faster while actually increasing the accuracy and validity of the information gathered. Less time spent in the hotel room or in the corner of the store, typing up reports, will make your team happier as they no longer have to spend hours doing manual work. For DM’s constantly out in the field, the ability to better manage their time can help them increase their overall productivity. They can now spend more time fulfilling other important responsibilities like coaching store managers and keeping track of store performance. Saving time spent in assessments allow DMs to focus on ensuring operational consistency that complies with the brand’s standards. The real question with audits and field assessments is whether they are able to help identify core issues in a timely manner. Saving time is not just for the physical audit process but also a key factor for using data to help improve the overall business. Providing accurate and up-to-date information with visual trends or snapshots along with corrective measures, all in real-time can be a difference maker when it comes to productivity. With a digital solution, these problems can be solved in a simple, easy and cost-effective manner in much shorter time. DM’s no longer spend time documenting their observations using handwritten notes only to transcribe them into an excel file. Instead, the updates happen in real time and inserted right into the assessments and submitted digitally using the application. With DM’s spending more time coaching the General Manager or Franchisee, they make the team produce better results. Also, because less time is required on the logistics side of each assessment, the DM can complete more assessments than before. More assessments allow for identifying operational trends in a much shorter time and helps in cost-reductions and increased operational consistency. 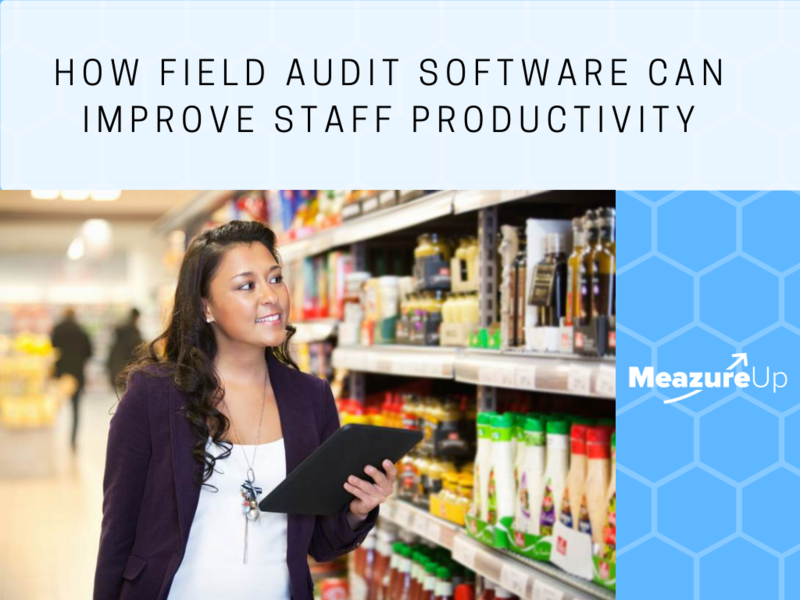 These are advantages that have made Field Audit Software indispensable for chains wanting to stay competitive and in tune with their stores, regardless of size.